Android is a popular operating system for Smartphones. We can not imagine our life without smartphones today because it provides apps in many different fields. Android is also popular because of its flexibility like we can root android phone and also we can try various apps and games. But their are some common apps which every person should try. We all have different field of interest. We choose app according to our need. For health conscious person they prefer to try apps related to heath. Even some tools are always provided in the form of android utility apps. But for planning diet routine we need diet apps for android. 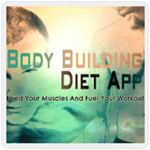 Diets plan apps are best for Body builders, players and athletes. 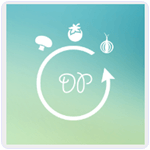 We can easily manage to gain or loose weight using these diet apps. 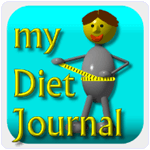 These apps provide Diet charts and exercise pattern according to our body requirements. These apps provide information about what to eat and also provide exact timing when to eat. We can also track our performance. We can also set reminder for our diet and exercise schedule. These apps work like our personal diet and exercise coach to keep us healthy and active. So here we are going to provide you some best diet apps for android. Which includes various features which are helpful in planning best diet chart. List Of Best Diet Apps For Android. 2. My Diet Coach- Weight Loss. 3. Diet Point Weight Loss. 4. Bodybuilding Diet Workout Plan. 7. Diet Plan Weight Loss. 9. Body Building Diet App. 10. Diet 2 Loose Weight. It is a wonderful Android app which help us to loose our weight. We just have to download app and create our profile by telling little bit about our self. It create a personal diet chart and exercise suggestion for us to quickly loose our weight and make us active and healthy. We can easily customize our diet according to our goals. It is easily connected with other apps like Fit bit, Mapmyfitness etc. Approximately 50 million users downloaded this app. 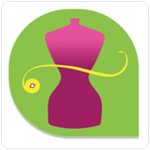 My Diet Coach is one the best Android app for loosing our weight. It Keep our motivation up with inspiring photos, Points, tips etc. We can set our customize reminder for our exercise class, drinking water, Diet etc. It act as a personal diet coach which provide suggestion about low fat and highly energetic food. It offer daily challenges to keep us more healthy and active. It also provide tips to burn extra fitness. Approximately 10 million users downloaded this app. It is an Android app which work as our personal pocket size coach. It give us 130 plus Diet plan to loose our weight. It also give estimated wait loose of each plan. It also give a dedicated shopping list for each Diet plan so that we do not bother about shopping. It also provide reminder for our next meal. It give 500 plus health tips to keep us active and fit. Approximately 5 million users downloaded this app. 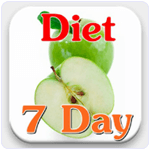 It is another Android Diet app which help us to gain weight and fitness. We can easily build our body by following the diet pattern provided by it. It is fully operational in offline mode. 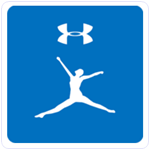 It is batter option for athletes. It also provide on season and off season diet options. It also provide information about what to eat and when to eat. Approximately 0.5 million users downloaded this app. It is a mind blowing in all diet apps for Android. It is designed to keep track of our diet related activities. We can set our regular meal time. This app will remember us when we eat too late, early or on time. Its meal button will become green when its our time to meal, yellow when it is too late, and red when its early. We can also set reminders for special diet. We can loose or gain weight using this app. Approximately 0.5 million users downloaded this App. 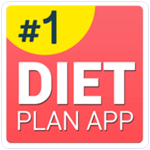 Diet Plan is an awesome in all diet apps for Android. It provides a combo pack of weight tracker, health tracker and calorie counter. We can easily make diet plan according to our health requirements. It also provide diet suggestion according to our health requirements. We can easily track our weight according to our diet we are taking with the help of its inbuilt tracker. Approximately 0.5 million users downloaded this App. It is an awesome Android app which is available on Google play store for free. This app is specially designed for people who want to loose their weight. It provide a list of low calorie food and delicious dishes. It also provide many weight loosing list according to our choice. It is a light weight Android app which is compatible with Android 2.3 or higher version. Approximately 0.1 million users downloaded this App. Water diet is also import for our body. Water also play a big role in controlling our weight. 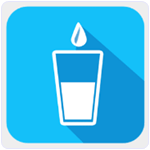 This Android app is specially designed to keep track of your water diet. This app provide the suggestions about water requirement of our body. It also help us to keep our skin healthy and glowing. It is a light weight Android app which is compatible with Android 2.2 or higher version. Approximately 0.5 million users downloaded this app. It is Another famous Android app specially designed for people who want to build their body. 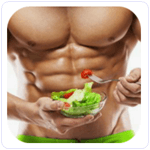 This app provide the list of healthy food which provide Fat, Protein, Calcium and other vitamins necessary for body building. After doing our regular Gym our body will grow only if we take healthy food according to its requirements. This app help us to achieve our daily goals. It also provide body building tips related to our diet. Approximately 50 thousand users downloaded this App. 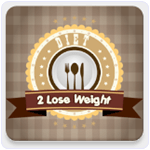 Diet 2 Loose Weight is amazing Weight Loosing Android Diet App. This app has a rating of 4.7 on Google play store. It is a light weight Android app with easy to use interface. This app provide weight loosing recipes with images, gradient and preparation techniques. It also provide various weight loosing diet plan with how much calories we want to burn. Approximately 10 thousand users downloaded this App. In conclusion, these are few best diet apps for android which are recommended for all those who are planning to make good diet plan by involving technology.